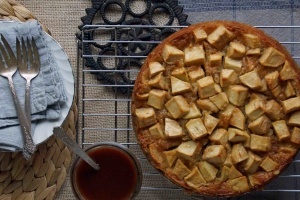 In a large mixing bowl, add all cake ingredients together along with 1/2 chopped apples, mix well until thoroughly combined and spoon into greased tray. Using a spatula, smooth out the top of the batter. Top with remaining chopped apples and sprinkle with a little cinnamon. Bake for 25-30 minutes until the top is golden and cake feels fairly firm when pressed gently. Once cooked, remove from oven and allow to cool for 10 minutes. While cake is baking, add coconut sugar/xylitol, date puree, and almond milk to a small pan. Over a medium heat allow to warm and stir continuously until the coconut sugar/xylitol starts to dissolve. Add chopped apple, cinnamon and apple puree to pan and allow to simmer further for 20 minutes, until apples are soft. Stir intermittently to prevent contents from sticking to the bottom of the pan. Note: Add more almond milk for a smoother consistency, if your sauce becomes too thick. 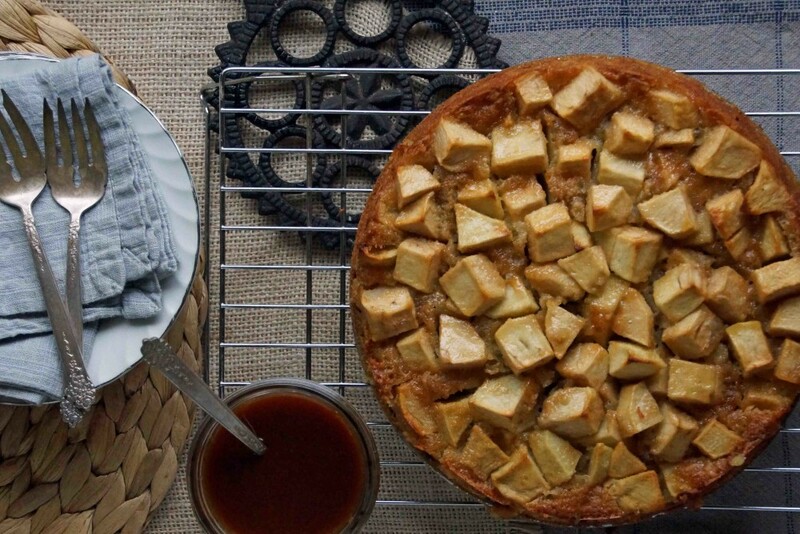 To serve, slice apple cake into thick pieces and drizzle generous amounts of sticky date sauce on top. Best served warm.